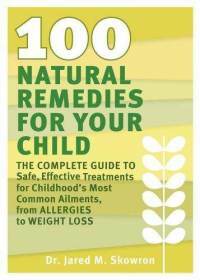 • ALTERNATIVE REMEDIES: Instead of heading to the drugstore for an over-the-counter remedy when their child is ill, parents will learn how to use homeopathic remedies that save money and heal their child naturally. Since children are growing so quickly, they are often prone to iron deficiency anemia. Anemia can contribute to a host of physical and psychological issues, including: weakness, fatigue, irritability and even irregular heartbeat. If your pediatrician determines that your child is iron deficient, an iron supplements can get his or her iron back on track.